Photo by Esther Vargas and used here with Creative Commons license. If you don’t like change, don’t work at the Washington Post. But if you are a consumer of digital news, you can expect some interesting and perhaps delightful innovations. And if you are in the news business, you already know that the old kid on the block has a new owner who is sling-shotting the Washington Post into global digital journalism. "If you are a consumer of digital news, you can expect some interesting and perhaps delightful innovations." On October 1, 2013, two months after his initial offer, Jeff Bezos, Amazon founder, billionaire technologist, tech entrepreneur, and market mover formally became the owner of the Washington Post. I predicted in 2013 that Bezos would turn the Washington Post upside down. He’s doing just that. He saw the Post as a “black box” for experimentation and development on all levels. The last six months show the challenges of ongoing change and innovation. Here are the highlights. Bezos demonstrated he came to play with the October 2014 hire of digital newsman Frederick J. Ryan Jr. as publisher, replacing Graham family member Katharine Weymouth. A co-founder of Politico and former staffer to President Ronald Reagan, Ryan is a Washington insider and communications veteran who gives the Post the leadership and street cred it needs to play alongside digital doyens not burdened with paper delivery systems. In addition, the Post hired 100 new journalists to support digital efforts. Amazon overall increased R&D spending from $1 billion in 2008 to $6 billion in 2013. That’s just short of Google’s $8 billion and almost double what Apple invests. In addition to adding 20 engineers (for a total to 225), Bezos opened WPNYC, the New York-based design and development office of the Post led by Director of Digital Strategy Sarah Sampsel. WPNYC is tasked with creating a more “reader-focused product.” Another development office is expected to open in Virginia in 2015. Some technology positions will be embedded directly with the sales team. In Washington, efforts are underway to move to a new headquarters, where software engineers will sit alongside journalists, further integrating advertising sales and content. As expected, management and operations have changed to reflect the delivery of new forms and different content. This is more than just money being thrown at development. It’s a flexible plan that has carefully engineered resources for support and success. And it’s not the first time a company has paired distinct functional staffers to get different or better result in sales, marketing, or production. 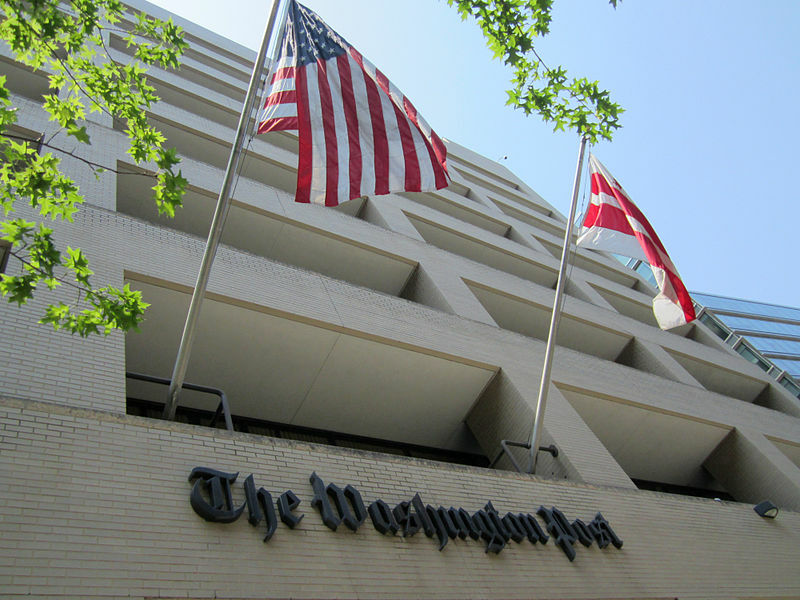 The Washington Post will be staffed by an integrated digital news team, one in which reporting, editorial, sales and tech development functions intersect and work together in a symbiotic relationship. This is possibly a make-or-break goal for the new Post. There’s no turning back if this new alignment doesn’t work — there isn’t anything left to go back to. 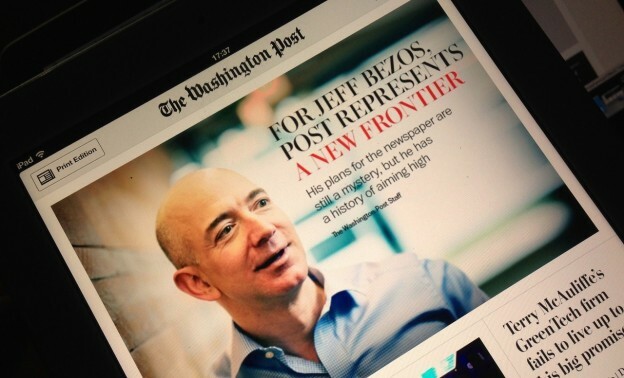 Bezos plans to sell the Post’s back-end content management system (CMS) to local and regional newspapers. This could be new revenue, or a time-consuming bust. This announcement was greeted with derision by technology veterans who had attempted this unsuccessfully at other large media companies. This idea is also under current consideration elsewhere. If Bezos has enough partners it could succeed, but these types of content management systems are not architected efficiently and are difficult to work with. In November, Amazon Kindle Fire users were given access to a pre-installed package of unique morning and evening news covering national and international events, moving the Post away from local coverage, an early goal stated by Bezos. Newly hired national reporters work on making the content more appealing in a magazine format. This is one application of portable content. While it’s not a game changer unto itself, it will open up various avenues for syndication and licensing. New blogs have been added in different areas to keep the content focused on national and international news and away from the local scene. In June, the Post established their first international office in London to concentrate on advertising and revenue, and to expand their 1.7 million monthly unique European user base. Also, the Post hopes to get a web traffic boost boost and increase its national presence by granting content access to subscribers of various local papers including the Dallas Morning News, Honolulu Star and Minneapolis Star Tribune. Issues with German Labor unions over wages and non-union U.S. workers over working conditions and wages are well documented. So is Bezos’ opposition to unionized workers at Amazon. With the Washington Post, he will dive head-first into issues with the Newspaper Guild as he attempts to freeze pensions, 401k contributions, and severance pay for all employees. But as Washington Post blogger Erik Wemple pointed out in his October 2, 2014, story, the Post’s pension plan was overfunded by $50 million, and that “deep pension surpluses enabled humane newsroom-shrinking methods: Over the past decade, the newspaper funded several rounds of generous buyout packages via the pension funds, sending happy veteran reporters into retirement and other journalism jobs with bulging pockets and great health benefits.” Saved in the past from cost-cutting and massive layoffs, would Bezos have bought the Post without this financial cushion? Still, the Bezos-Amazon blind spot for organized workers persists, and will continue to make for contentious relations with staff. In a record-setting year, Amazon shipped more than 5 billion items in 2014. But it hasn’t been all roses for Amazon or for Bezos. Amazon’s foray into the smartphone arena, the Fire Phone, resulted in a $170,000,000 write-down. Bezos personally lost $7.4 billion of his net worth in 2014, but still makes the lists of the top 20 richest people. Many analysts still think that Amazon is sound and that experimentation and innovation will pay off, despite its shares losing 22 percent of their value last year. The jury is still out, but it’s coming back soon. It is certainly not your daddy’s newsroom anymore; then again, it hasn’t been that for some time. How much Bezos can merge news with sales, technology and development, and be an able competitor in a crowded field, remains to be seen. But it’s challenges like these which create the next new paradigm for journalism. Janet Asteroff writes on communications and technology at www.asteroff.com. So right wing, anti-union aholll Bezos buys a democratic leaning newspaper and what this little twit writes about are the bogus splendors of digital.